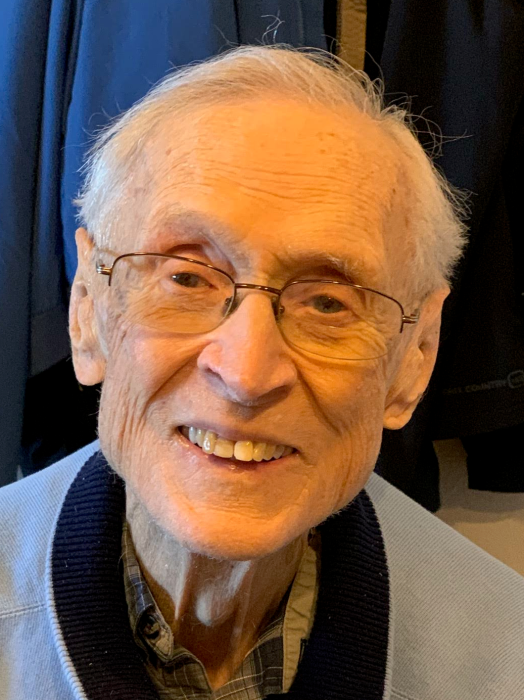 John Grant “Jack” Mosher, 90, of Washington, passed away Monday, Jan. 14, 2019 at his residence. Born on June 17, 1928 in Dekalb, IL to Harry L. and Alice Sullivan Mosher, he married Charlotte Ann Finley on Jan. 16, 1954 in Maple Park, IL. She preceded him in death on Oct. 7, 2018. He was also preceded in death by his parents; his brother, Bob Mosher; and sisters, Evelyn Koski, and Dorothy Mosher; his son-in-law; a grandson; three brothers-in-law; and two sisters-in-law. Surviving are daughters; Sara Ellen (Robert) Ahten, Martha Ann “Marty” (John) Johnsen, Amy Marie (Ross) Davis, Elizabeth Mary “Betsy” (Larry) Wanat, Molly Suzanne Mosher and Laura Kathleen (Tim) Berlett; grandchildren, Grant (Laura) Ahten, Jonathan Ahten, Jared (Rachel) Johnsen, Jordan Johnsen, Tyler (Stacy) Davis, Morgan (Hailey) Ahten, Kari (Jordan) Myers, Carly (John) Sanderson, Jacob (Valerie) Johnsen, Jack Berlett, Ryan Berlett; 10 great-grandchildren; sister-in-law, Rosemary Kennedy; and many nieces and nephews. Jack was a Korean War Army veteran. He graduated from Iowa State University, where he was a member of Phi Delta Theta fraternity and two honorary fraternities, Phi Kappa Phi and Gamma Sigma Delta. After graduation he worked at Harper and Sauder in Eureka. He later worked at Northwestern Mutual Life Insurance for 35 years and was a proud life member of the Million Dollar Round Table. He was a member of St. Patrick Church in Washington for 65 years, where he was active in the Men’s Club and a member of the Finance Committee. He was proud to serve for many years on the Board of Education at Washington Community High School. A perfect day for Jack was morning coffee with his buddies at Hillcrest Golf Course, followed by 18 holes at Kauffman Park in Eureka, where he was a member since 1954 and served on their board and as a trustee. Jack’s greatest accomplishments in life were providing for his family and being a loving husband to Char and dad to his six girls. His humility, kindness and strong work ethic remain a lasting legacy to his family. Memorial Mass for Jack will be at 11 am Saturday, Jan. 26, 2019 at St. Patrick Church in Washington, with Fr. John Steffen officiating. Family will receive friends one hour prior to service at the church. Interment will be at Glendale Cemetery in Washington at a later date. Deiters Funeral Home in Washington is in charge of arrangements. In lieu of flowers, memorials may be made to St. Patrick School, or The Orpheus Club of Peoria. The family would like to thank Holly Brook and Transitions for their loving care of Jack and the many kindnesses shown to him.